Univision is celebrating the 2015 CONCACAF Cup by airing many soccer TV specials! 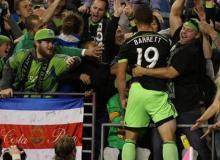 Chad Barrett buried a last minute stoppage-time goal and the Seattle Sounders salvaged a point in their come from behind 1-1 draw with the LA Galxy at CenturyLink Field on Sunday night. Javier "Chicharito" Hernandez's girlfriend Lucia Villalon stood by her boyfriend's side after Bayer Leverkusen's 2-1 loss to Barcelona with this touching photo she posted on Instagram. FC Barcelona made fun of Javier "Chicharito" Hernandez, on their Twitter account on Monday after the Mexican striker missed a wide open shot in Bayer Leverkusen's 2-1 loss to Barca. 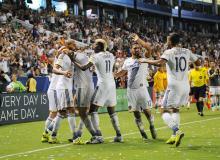 Giovani Dos Santos and Robbie Keane scored a goal and an assist each as the LA Galaxy hung on to defeat Dallas 3-2 at StubHub Center on Sunday night. How Will Lionel Messi's Injury Impact Barcelona's Chances Of Repeating As Champions? 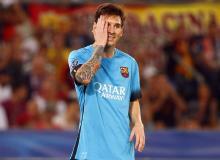 What impact will Lionel Messi's knee injury have on FC Barcelona's title chances? 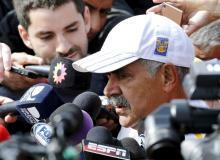 Will Fernando Gago Ever Be The Same After Achilles Injury? 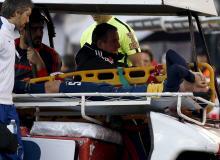 Argentine midfielder Fernando Gago's Achilles tendon injury could end his career. 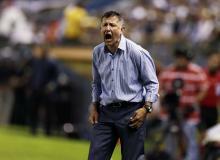 Is Juan Carlos Osorio The Next Coach Of El Tri? All Signs Point To Yes! According to multiple reports, the Mexican Football Federation is close to signing Colombian Juan Carlos Osorio as the next manager of El Tri. 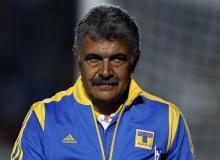 After a week of controversy surrounding Chivas Guadalajara, former Mexican goalkeeper Adolfo Rios has been named the new President of the team. FC Barcelona striker Lionel Messi made history on Wednesday when he became the youngest player in history to have 100 career appearances in the UEFA Champions League. 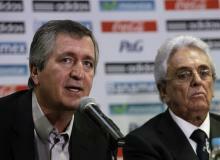 Mexico's interim manager Ricardo 'Tuca' Ferretti adds the Dos Santos brothers to his preliminary roster against the United States on Oct. 12. 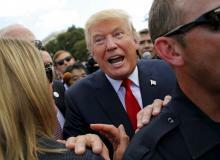 Donald Trump is being used by a Mexican television station to promote the upcoming match between the United States and Mexico. Mexico blew a 2-0 lead in the final four minutes as Argentina mounted a ferocious comeback led by Lionel Messi, scoring two goals in the final minutes to tie El Tri 2-2 at AT&T Stadium in Arlington, TX on Tuesday. Neymar leads Brazil over the United States 4-1 with a brace, Hulk also scored in the match. Javier "Chicharito" Hernandez is set to debut for Bayer Leverkusen on Saturday. Hear what his new teammates have to say about the Mexican star. 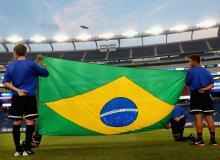 USA Vs. Brazil, an international friendly match on Tuesday at 8:00 pm at Gillette Stadium in Foxborough, Massachusetts. 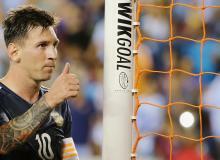 We preview the international friendly match between Mexico and Argentina. 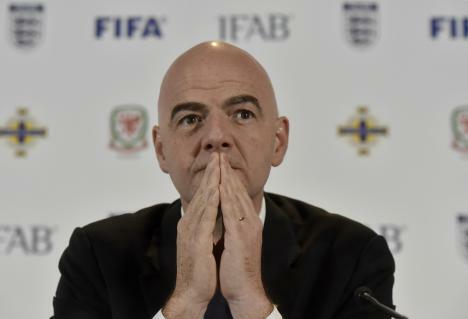 We predict who will win the match including TV and Live Stream information. Don't forget to vote in our poll! 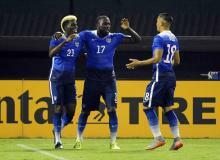 Jozy Altidore scored a brace and the United States rallied from behind to defeat Peru 2-1 on Friday night. Hector Herrera scored the equalizer in the final moments as Mexico had another high-scoring draw with Trinidad and Tobago, 3-3 on Friday night at Rio Tinto Stadium in Sandy, Utah. 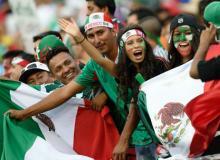 We preview the international friendly between Mexico and Trinidad and Tobago.